Hey Educators! 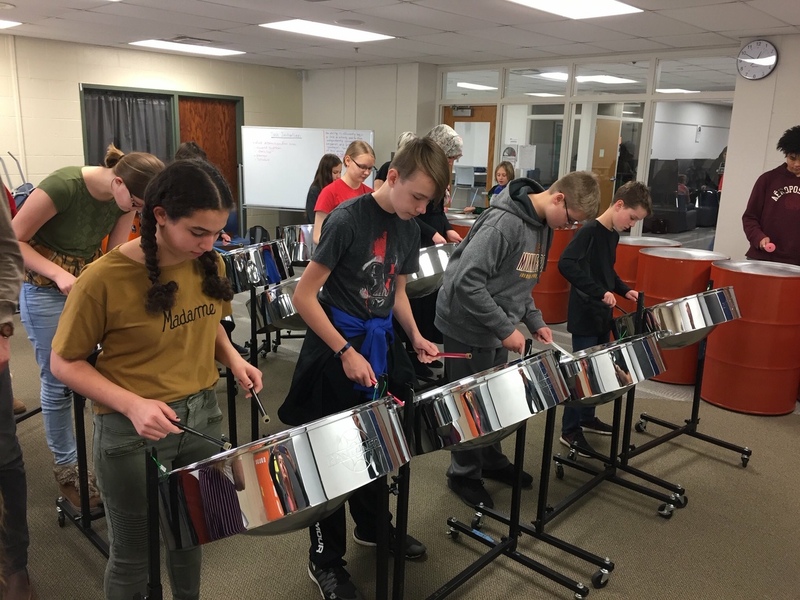 Now your students can learn to play steel pan…for Free! Starting a steel band requires instruments, music, stands, mallets, and of course, people to play them. Well, if you can provide the players, we’ll provide EVERYTHING ELSE! Founded in February of 2018, Pan-handlers Educational Outreach offers a program unlike any other. 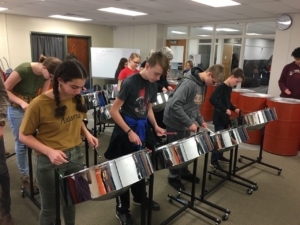 For a few days or even a few weeks, your students can experience having a 16-piece steel pan ensemble at their disposal for rehearsal and performance, receive instruction from experienced pan-playing educators, all for no out-of-pocket cost to your program or school. No gimmicks. No fine print. Just a non-profit sponsored program (Chops, Inc. is a 501(c)(3)) offering world music exposure to students who might otherwise never have the opportunity to play pan. ● Steel pan clinic/classes covering history, development, pedagogy of the instrument, and the culture from which it was developed. Please fill out the “contact us” form or go to www.panoutreach.org for more information. We’ll be happy to discuss any details and answer all questions you may have about the educational outreach and how to host.